Great news for all of you with little ones looking to make a splash in this terrific summer heat. 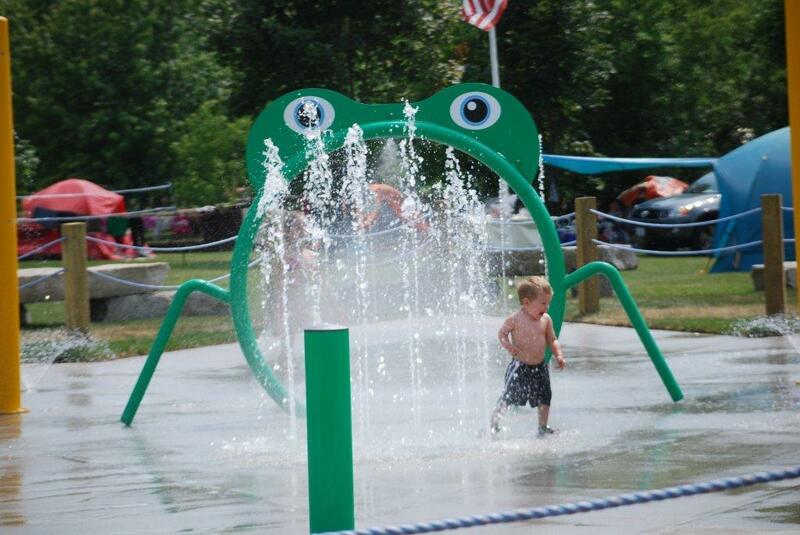 Golden Beach Resort has added an all new splash pad this summer. Judging by the look on this little guys face, I would say the splash pad has been a hit for their guests on these hot summer days. Of course, at Golden Beach, adults can also cool off while swimming the days away in their outdoor pool. You can grab a rod and head out fishing for some of the monster bass that call Rice Lake home. You can add some activity to your day, by also going for a hike, grab the horseshoes for a tournament, play a round of tennis and much more. There is still some limited availability this summer so give them a call while the temperature is hot.